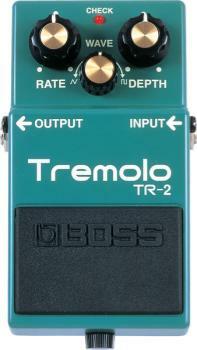 The TR-2 delivers top quality vintage tremolo effects in a high-performance compact pedal. Dedicated Wave, Rate, and Depth knobs deliver a wide range of possible styles and sounds. AND it comes with the 5-year warranty from BOSS!